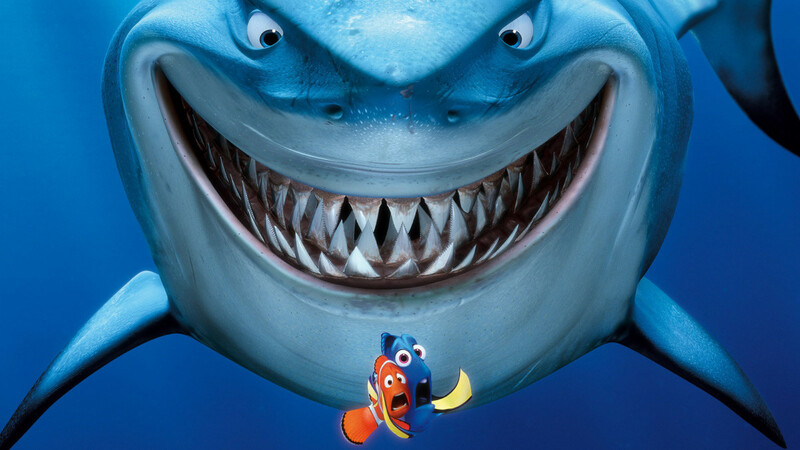 Two of the most well known aquatic animated films are Disney's Finding Nemo and Dreamworks's Shark Tale. 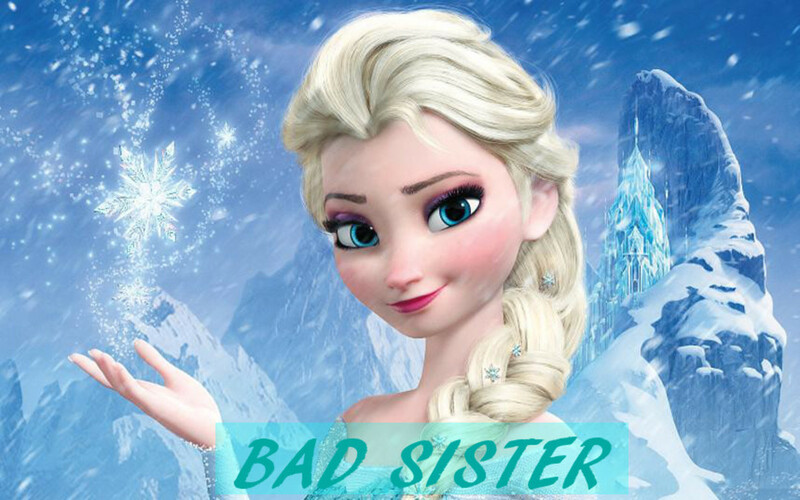 They may not have much competition, but do they satisfy as family movies? And which is superior? Well, lets dive right in and discover which marine experience offers more to love! Lets quickly summarize this 2003 film, although most of us have probably seen it. Finding Nemo stars a clownfish widower named Marlin as the overbearing father of Nemo. Nemo attends his first day of school, but is captured by human divers. 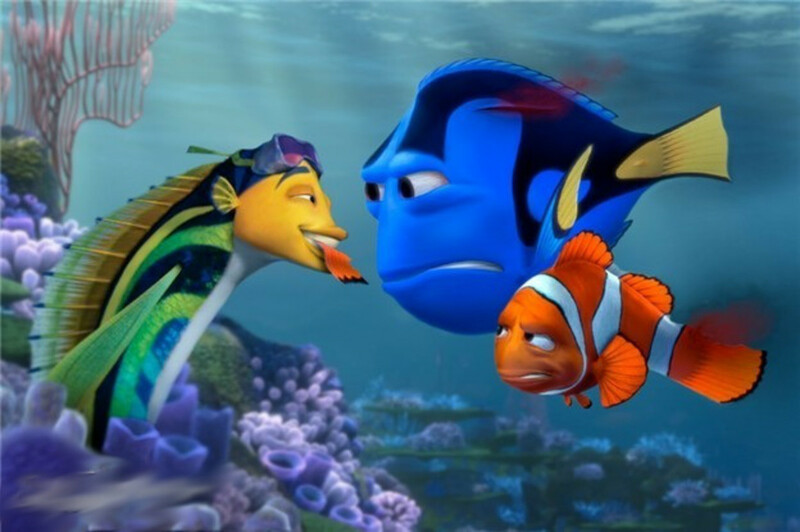 Marlin races after his son, encountering the good-natured but forgetful Dory. The pair find a set of goggles left by the diver, and use the address on them to chase after Marlin's son. Meanwhile, Nemo is placed in the aquarium of a dentist, and meets the Tank Gang, led by a fish named Gill (an awesome name, for the record). The gang accepts Nemo, and they begin working on an escape plan. Marlin and Dory continue to follow after Nemo, encountering sharks, jellyfish, sea turtles, and whales. Eventually, they reach the dentist's office and, after a misunderstanding, the two fish are reunited with Nemo, and return to their coral reef home. That's the movie; now how does it hold up? Marlin and Nemo are both well done. They each love each other, but still make mistakes, just like real life. You really feel for Marlin; losing your wife and almost all of your children must be devastating. At the same time, you want Nemo to succeed in breaking away a bit, and obtaining some freedom. And then we have Dory, played by Ellen Degeneres. Dory is fun, optimistic, silly, forgetful, and a great companion, and Degeneres voices her perfectly. Overall, a great bunch of main characters. Tons to enjoy here. The Tank Gang are composed of many amusing and colorful fish, Nemo's classmates are believable, the sea turtles are amusing, and we have a fun pelican. My favorites may be the pacifistic sharks; it's fascinating to watch them struggle against their craving for blood, similar to humans attempting to give up addictive substances. Well done, Disney. Fairly simple; a dad must find and rescue his son. However, it's executed well, and the environments are wonderful. You see both the beauty and the terrors of the ocean's depths. Also, the opening of this film rivals Up's beginning for most tragic love story. 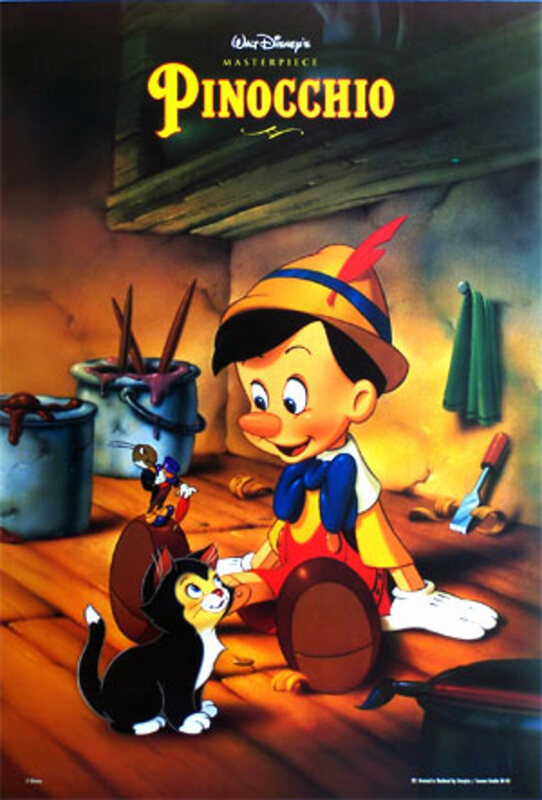 An animated Disney movie without the characters singing (besides the manta ray teacher's little school bit)? Huh, strange. Still, the orchestral music sets the mood well, and can really convey the vastness of the ocean. There may not be traditional songs, but you'll hardly notice. The movie's very well done. I'm not sure why some fish can talk and others can't, but that hardly detracts from the loads of enjoyment you'll experience with Finding Nemo. 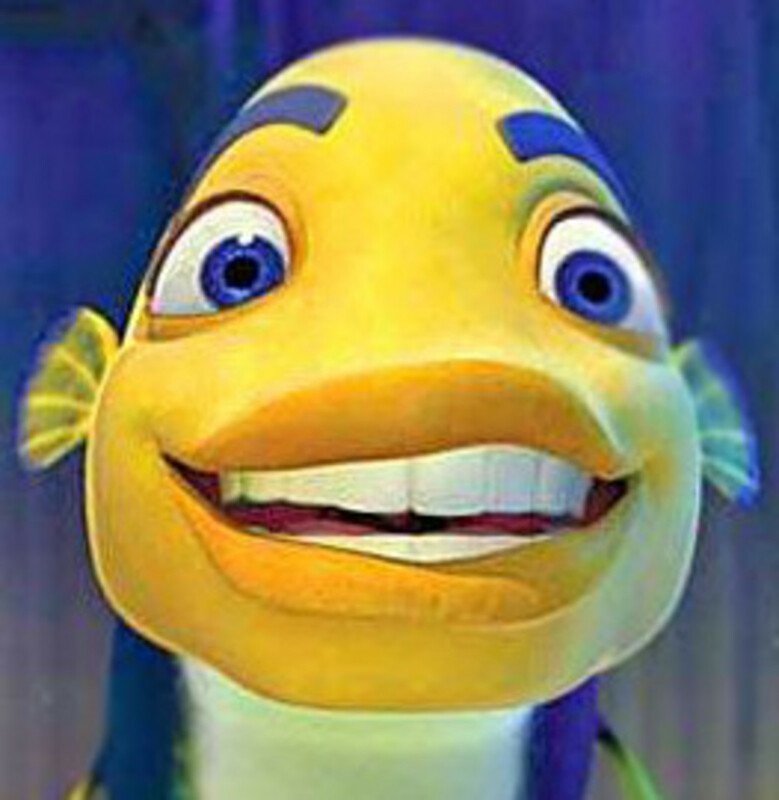 Shark Tale (2004) opens up with a fish named Oscar, played by Will Smith, dreaming of riches while working at a whale wash. His boss lets him know of an outstanding debt he owes. Luckily, best friend Angie gives Oscar a pearl to be sold for money. But then Oscar, being an idiot, instead gambles with the money in the hopes of making more. He loses it, but attracted the attention of gold-digger Lola. Meanwhile, a shark called Lenny, played by Jack Black, wants to give up eating fish and become a vegetarian (Gee, now where have we seen that before..?). Lenny encounters Oscar, and they agree to fake Lenny's death by having Oscar defeat him. Praised as the Sharkslayer, Oscar obtains wealth and status, though Angie discovers his secret and is disappointed in him. Eventually, Angie's confession of her feelings let Oscar pick her over Lola; meanwhile Lenny, disguised as a dolphin, lives with Oscar. However, their happy life comes to an end when Lenny's father, Don Lino, teams up with the rejected Lola. The villainous pair kidnap Angie and almost kill Oscar, but Oscar convinces Don Lino that Lenny's new life is better for him, and that no harm should come to anyone. Lino agrees, and Oscar happily returns to the whale wash, now dating Angie. So how does the movie hold up? Lenny and Angie aren't bad; they're likable enough. Our problem is Oscar. He's greedy and annoying, and I don't mean in that charming rogue-like manner, I mean in a selfish-jerk way. If I ever lent anyone money, and they gambled it away instead of paying their debts, I'd be furious. Plus, these fish are terribly designed. Do you really want to look at this guy for an hour and a half? Again, nothing too special. I will say that it's interesting how there are no truly evil characters. Afterall, Don Lino is only trying to get the best for his son, he just goes about it the wrong way. And Lola betrays Oscar, but only after he rejects her; in the credits, we even see her attempt to make amends. The story itself isn't awful, it just could have been done better. The setting is surprisingly disappointing; we don't really get to explore much of the ocean and all its wonders. For the most part, forgettable; though some may find the car wash theme catchy. However, you gotta give Shark Tale some credit for having the perfect entrance song for Lola. I don't hate this movie, but it's not one I'd recommend unless you really just want to just watch some fish have a small adventure. I liked a few characters, and there were a couple decent jokes, but it's hard to get over the ugly animation and lackluster writing. I'm pretty sure we know who won, but lets go ahead and compare them! Main Leads- Finding Nemo. The characters are more interesting and had better dialogue. Supporting Cast- Finding Nemo. Again, more interesting, funnier, and overall nicer. Most fish in Finding Nemo will try to help complete strangers, while almost everyone in Shark Tale is only looking out for themselves or their family. Music- Finding Nemo. The tunes better convey the tones and scale of the movie. Overall- Finding Nemo. 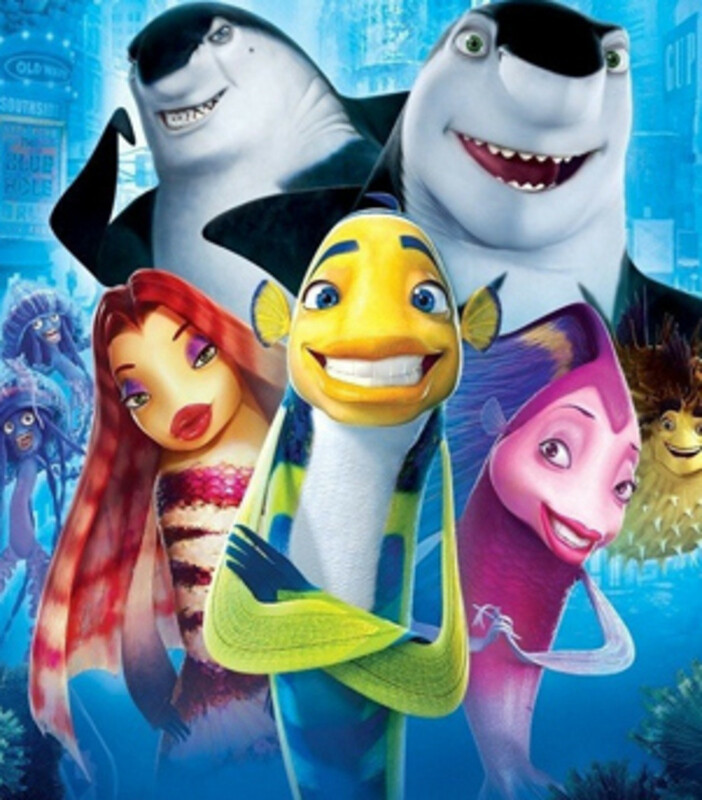 I love me some Dreamworks, but Shark Tale is one of their most underwhelming films; Disney's aquatic adventure offers an awesome experience I highly recommend. For more fun under the sea, you can't go wrong with The Little Mermaid (just beware its sequel), or Disney's lesser-known Atlantis. Though far from perfect, I also have a soft spot for Warner Brothers's Pebble and the Penguin, which showcases several enjoyable marine animals. Moana also highlights some beautiful parts of the ocean. Hopefully, animation studios will continue to make these amazing movies a part of our world! Melissa, it's both. Pixar is a part of Disney. Finding nemo is pixar! NOT DISNEY! Agreed, this comparison wasn't even close. And thank you! Finding Nemo is on a different planet compared to Shark Tale. Arguably the best animated movie ever made.